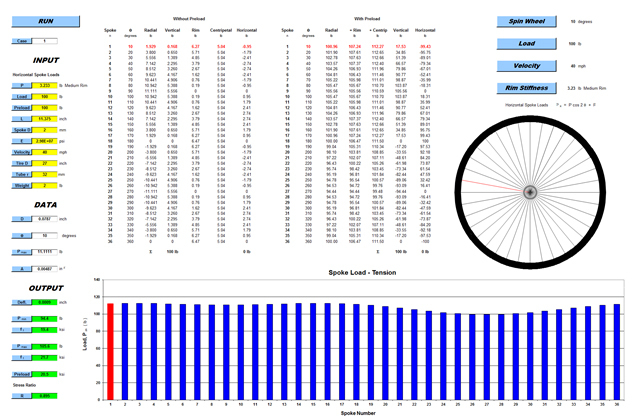 1 Rotate As the wheel rotates the spoke load column chart does “the wave”. 2 Load Down load on the hub increases from 100 pounds to 300 pounds. Upper spokes increase tension loads … lower spokes decrease tension pre-load. 3 Velocity Spoke loads increase with increasing velocity due to centripetal forces. 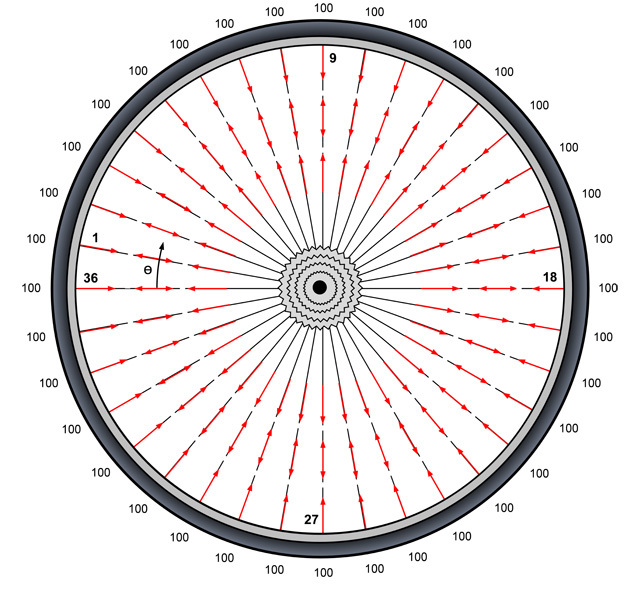 All of the spoke loads increase as the velocity increases from 0 to 60 miles per hour. 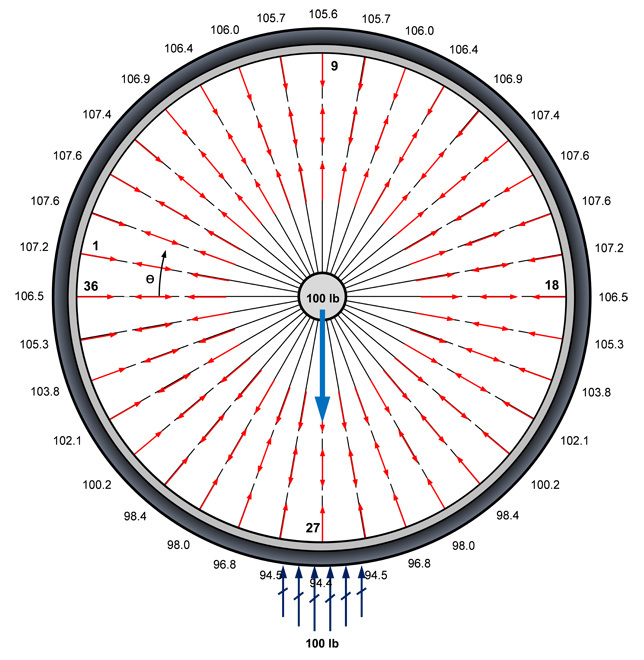 4 Stiffness Illustrates the changes in spoke loads with varying rim stiffness. Horizontal spoke loads increase as the rim stiffness decreases. Copyright © 2019 GRAN Corporation.